A shooting glove that can truly do it all! Made from the same material as our popular Black Glove. We introduced this glove at the ATA show this year. Our Bowhunter gloves are made from a special material we developed specifically for shooting gloves. 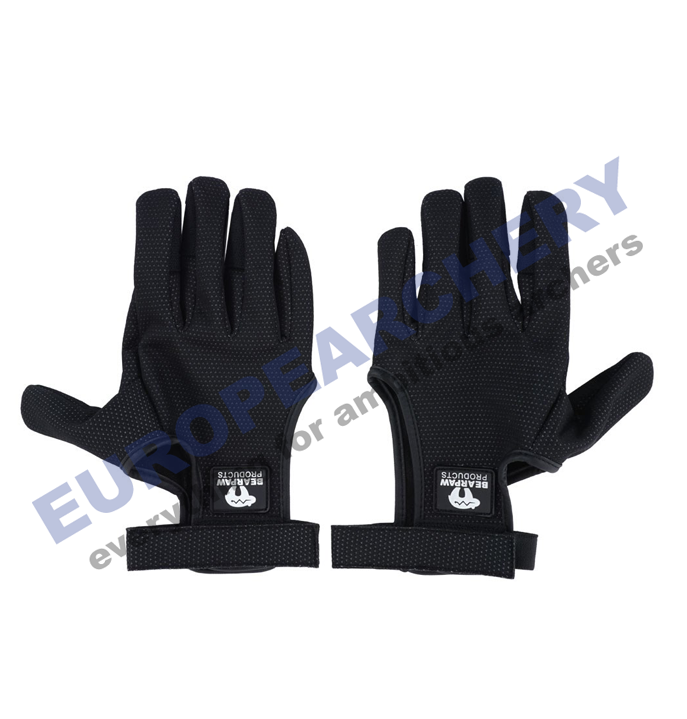 This soft, supple material readily forms itself to the contours of the shooters hands and is extremely comfortable from the very first time you put them on. This amazing material ensures protection against moisture, wind, and cold and is the same material we use in our legendary Black Glove! 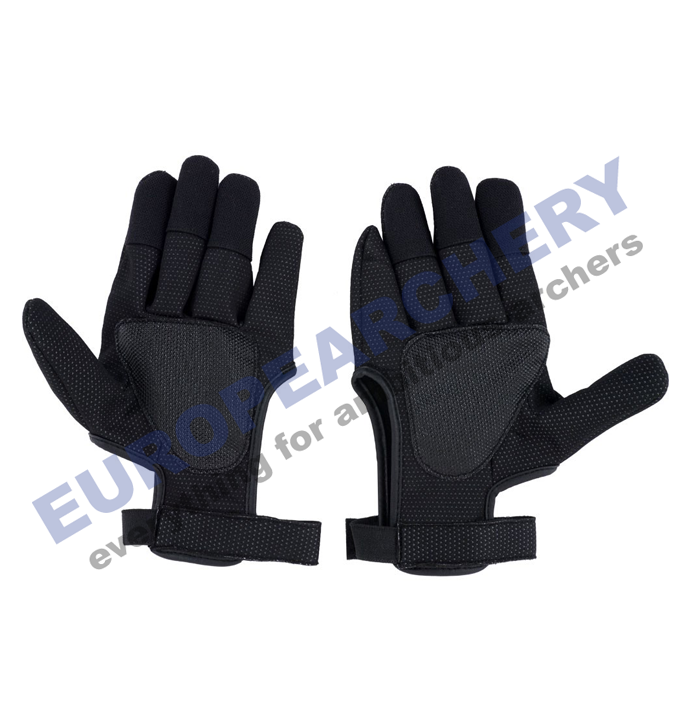 On the palms of the gloves we have incorporated a gripping section that provides the shooter with a positive grip on the bow, aids in pulling arrows from targets, and offers a secure grip when climbing. These attributes make the Bowhunter Gloves a perfect choice for bowhunters around the world. The finger tips are covered with our slick Bearpaw X8 material that guarantees a quick smooth string release on every shot. Even in wet rainy weather, the Bowhunter Gloves keep your hands warm and dry. You can rely on the superior shooting characteristics of the X8 material even in extremely wet conditions. The smooth release of the bowstring remains consistent shot after shot no matter how bad the weather gets!